Warning this film may contain lens flares. Synopsis: The city needs heroes. Darkness has settled over New York City as Shredder and his evil Foot Clan have an iron grip on everything from the police to the politicians. 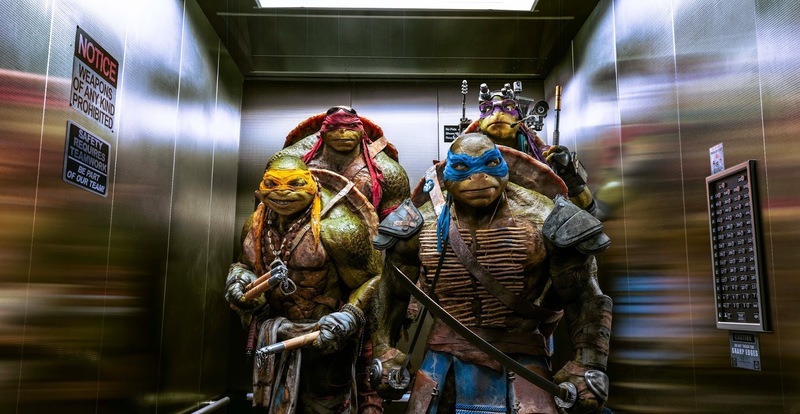 The future is grim until four unlikely outcast brothers rise from the sewers and discover their destiny as Teenage Mutant Ninja Turtles. The Turtles must work with fearless reporter April O’Neil (Megan Fox) and her wise-cracking cameraman Vern Fenwick (Will Arnett) to save the city and unravel Shredder’s diabolical plan. Based on the Teenage Mutant Ninja Turtles Characters Created by PETER LAIRD and KEVIN EASTMAN with a Screenplay by JOSH APPELBAUM & ANDRÉ NEMEC and EVAN DAUGHERTY, Teenage Mutant Ninja Turtles is produced by MICHAEL BAY (director and executive producer of the blockbuster Transformers franchise), Andrew Form, Brad Fuller, Galen Walker, Scott Mednick and Ian Bryce, and directed by JONATHAN LIEBESMAN (Wrath of the Titans).